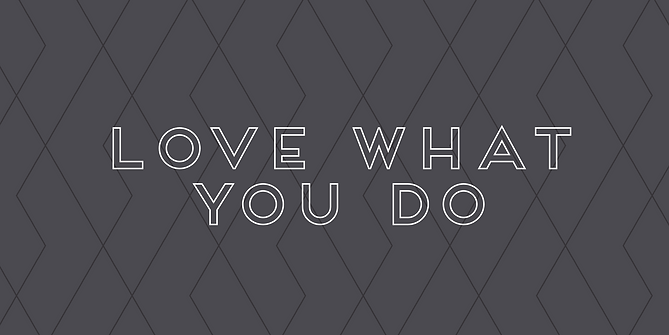 If there’s one thing I have learned from experience in life it is to love what you do! I grew up in a very entrepreneurial family and always had the desire to have my own business. That being said, I spent many years of my life in a job that left me feeling unfulfilled, I was always searching for something better and more meaningful. I had many days where I felt without a sense of purpose and without real direction. I began making natural products that I had learned through my Aromatherapy courses for myself and close friends just for fun, but never really knew of a way to brand it or make it into a real business. But, I was getting closer to something that gave me joy and purpose. During that time I started doing CrossFit and found something that lit that a fire inside of me!! Like many, I became completely obsessed and was looking for anything to help me become the best version of myself & the best athlete I could be! Any athlete knows that with intense training comes ripped hands and sore muscles, along with many others woes. After lots of torn, bloody hands, a light bulb went off...and just like that, Hand Repair Balm was born. Sitting around Thanksgiving dinner about a month later, I was telling my family about this idea I'd had. I wanted to help other fitness enthusiasts heal their hands and body in a natural way. We ended up spending the majority of our family dinner brainstorming ideas for a name for this crazy idea of mine. There, after copious amounts of turkey & wine, Fit Balm was born. I was so excited I just started firing of all these crazy ideas and products out into the universe not really knowing what it really took to create a real business of this nature. It was, and still is, a learning process and I hope that it always will be! I am always learning & challenging myself, and focus on doing what I love most - helping other people to live a natural and healthy lifestyle! That along with coaching and training others has helped me confidently find my passion in life. If you’re feeling stuck or lost, my challenge to you is this: Try something new, go out and experience life through a different light and see what comes up. Sometimes your passion can be found where you least expect it.